Systemic fungicide absorbed rapidly by the roots, with translocation through the plant. 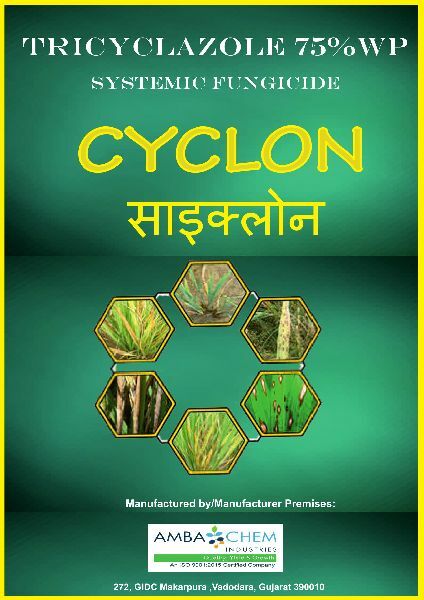 Cyclon is highly systemic in nature and is not removed by rain water. Rains may actually increase the rate of Blastin absorption. Cyclon does not allow blast disease to enter the rice plant. Cyclon also checks the further development of blast disease to other parts. Cyclon is stable during prolonged storage and dissolves rapidly in water. Cyclon because of its preventive action reduces the chaffy & broken grains and also increases the quality & yield of the rice field. Multi application methods such as flat drench, transplant root soak or foliar applications are possible.